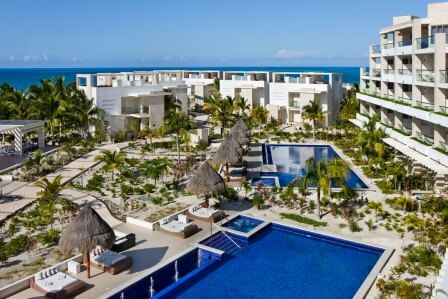 The Beloved Hotel in Playa Mujeres, is a luxury beachfront resort wrapped in the natural beauty and Caribbean flavour. 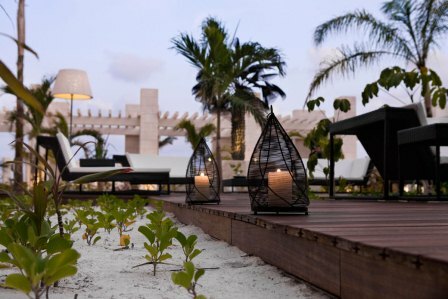 On a secluded peninsula just seven miles to the north of Cancun lies The Beloved Hotel. At the heart of a luxury resort community devoted to fostering utmost relaxation and holistic well-being, this is a place where what feels good is good for you. Whether it’s a round of golf, or a sunset sail, an afternoon of spa treatments or a glass of wine with the catch of the day, The Beloved Hotel is about living the good life. 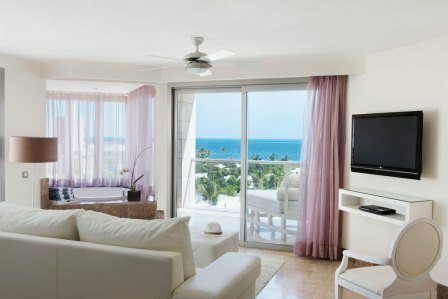 Whatever your pleasure, at The Beloved Hotel impeccable service, lavish suites, and natural Playa Mujeres Cancun beaches all set the stage for an unforgettable experience. A gorgeous resort with style. 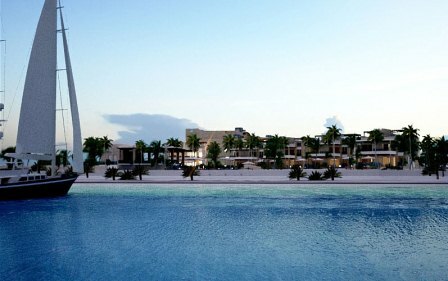 If you like Excellence Resorts but want to go with children, this should be at the top of your list. 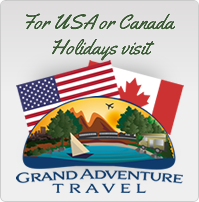 However, even if you don’t have children, it is a fantastic resort for friends holidaying together or couples. The Beloved Hotel offers eight luxurious suite categories each with a private terrace with lounge beds, luxurious marble bathrooms with a separate, round double Jacuzzi and shower, air-conditioning and more. 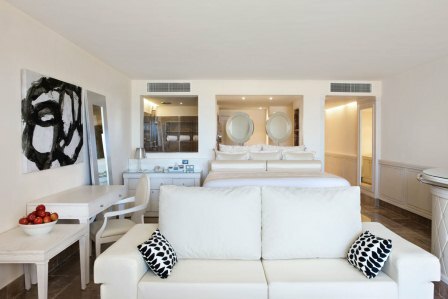 Junior Suite – 90sqm in size and features a private terrace, full-marble bathroom, master bedroom with either king bed or oversized twin beds, and views of the gardens & pools. Swim Up Suite Private Garden – 102sqm in size and on the ground-floor, these suites offer direct pool access and are outfitted with a private terrace and garden, a full-marble bathroom, and a master bedroom with either a king bed or oversized twin beds. Ocean View Junior Suite – 90sqm in size and featuring a private terrace, full-marble bathroom, master bedroom with a king or oversized twin beds, and views of the Caribbean. 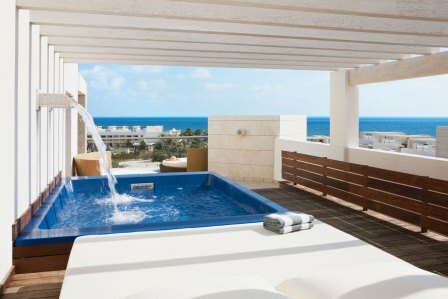 Ocean View Terrace Suite Plunge Pool 173sqm in size, these luxury suites feature an expansive private terrace with plunge pool, an amenity unheard of at other Cancun beach hotels. Each also includes a full-marble bathroom and master bedroom. 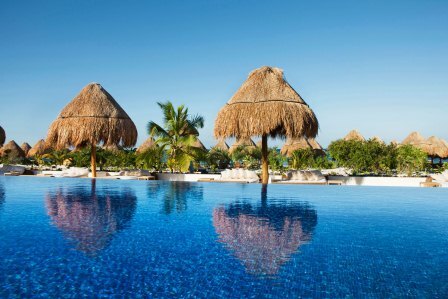 Beachfront Casita Suite Private Pool 102sqm – luxurious and right on the beach. Each of these cozy suites includes its own private pool and private terrace. 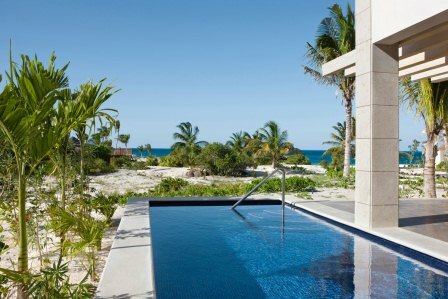 Two Story Beachfront Casita Suite Plunge Pool – 112sqm in size, these luxurious two-story suites are on the beach. 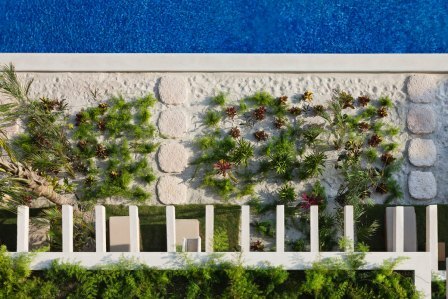 Each of these spacious casitas features a private rooftop terrace with plunge pool all for yourself. Oceanfront Penthouse Suite Plunge Pool – 267sqm in size, each of these one-bedroom suites features an expansive private terrace with plunge pool. They also have a separate living room, full-marble bathroom, and a master bedroom. The Owners Suite – At a grand 416sqm, this lavish two-bedroom suite boasts two large private terraces, one of them with plunge pool, a living and dining room, two full-marble bathrooms, and two bedrooms. 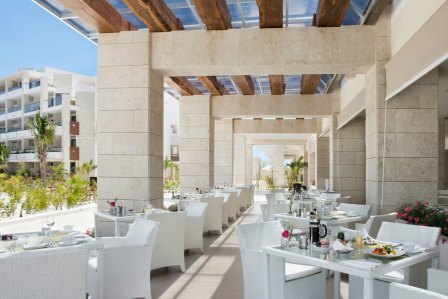 Fine Cancun dining is an integral part of the The Beloved Hotel Playa Mujeres luxury hotel experience. Swim-up Bar – Bar service at the beachfront pool or on the beach. Lupita Lounge – An open air lounge bar surrounded by Mexican Caribbean native tropical plant patio overlooking the Marina. Sushi & Ceviche Bar – Located at the Lupita Lounge, enjoy a fine selection of sushis, nigris, sashimis and ceviches. Lupitas Restaurant – Offers Mexican traditional cuisine within an urban contemporary touch. Isla Grill Restaurant – Beachfront restaurant mixing Grill, Mediterranean, Caribbean, Mexican concepts, the perfect combination to enjoy a memorable lunch. At night, an alternate menu offers options based on fish, seafood and steaks on the grill, which will entice you to enjoy an evening overlooking the lights of beautiful Isla Mujeres. El Mar Restaurant – An al fresco restaurant on the beach, delicious, grilled cuisine, snacks and pizza are available for lunch time. We regularly receive special offers and great deals for The Beloved properties, so please contact our friendly and professional team who are here to help and offer you great advice and prices. Please call us on 01928 246 243.